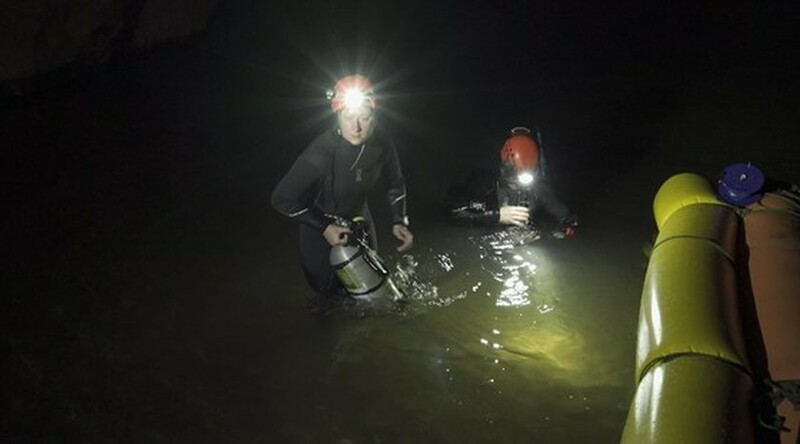 British diving experts collected a large number of impressive images and videos of the amazing beauty of Son Doong cave during a research trip to seek for a passage connecting Son Doong Cave and Thung Cave in the begining of April. 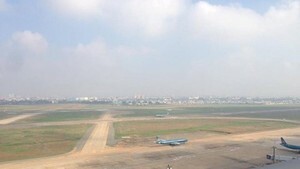 The Sai Gon Giai Phong Newspaper presents to readers pictures of the trip that are not ever made available to the public. 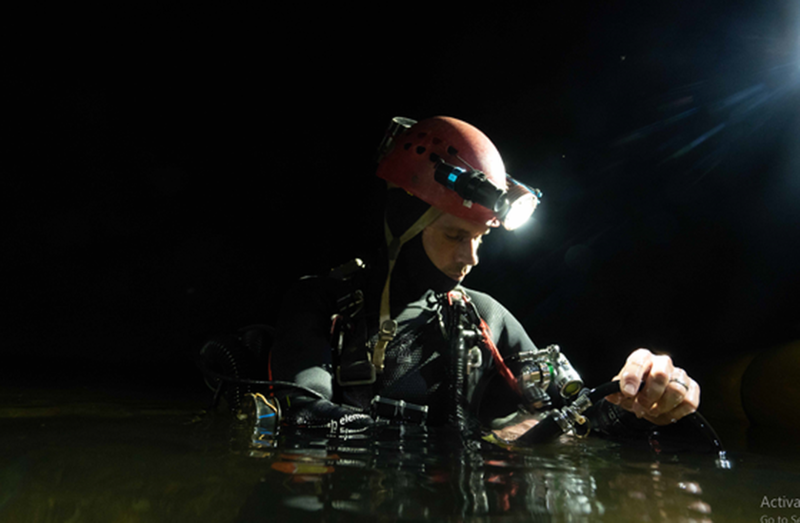 Most of them will be used to make a documentary film which will be broadcast on U.S. TV Natgeo channel produced by National Geographic. 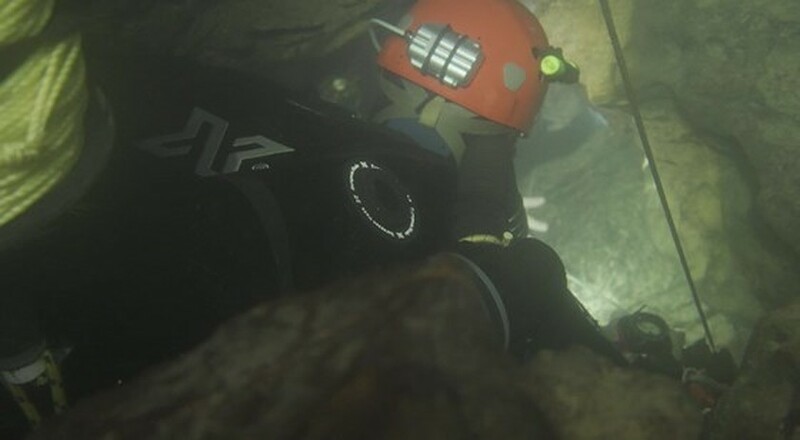 A team of five divers, including three members of the rescue team who joined a search for local youth football team the Wild Boar trapped in Thailand's Tham Luang Cave last year, led by Martin Holroyd, a cave expert of the British Royal Caving Research Association, kicked off the research diving trip to look for a 600m river passage connecting Son Doong Cave and Thung Cave. 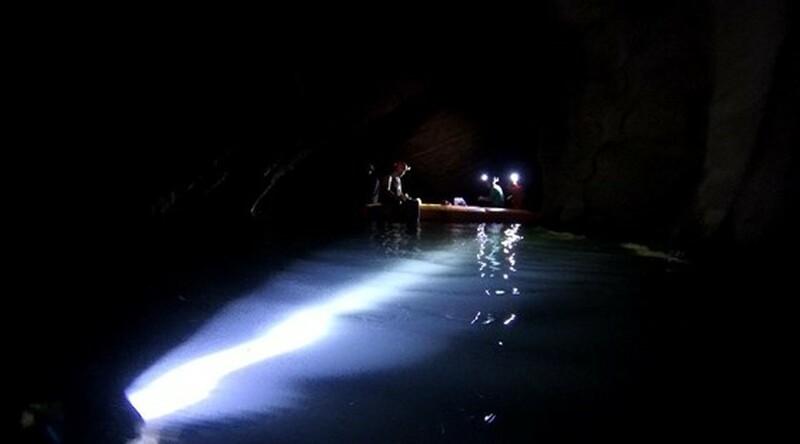 Experts believed when reaching a depth of 25m, the underground river section inside Son Doong Cave runs in connection with the underground river inside Thung Cave. 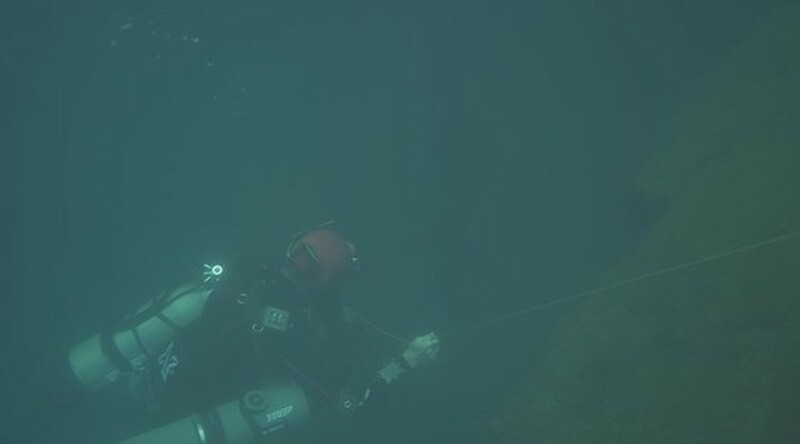 Divers went past a deep stop of 77 meters but they were unable to find the passage to Thung Cave and it went deeper underground. 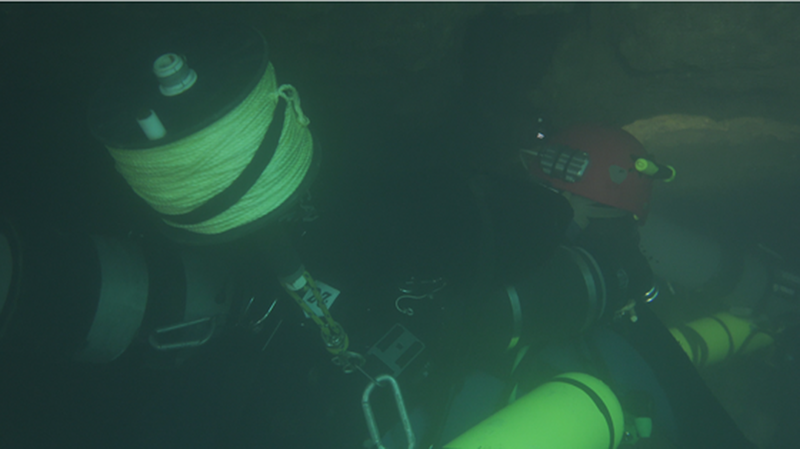 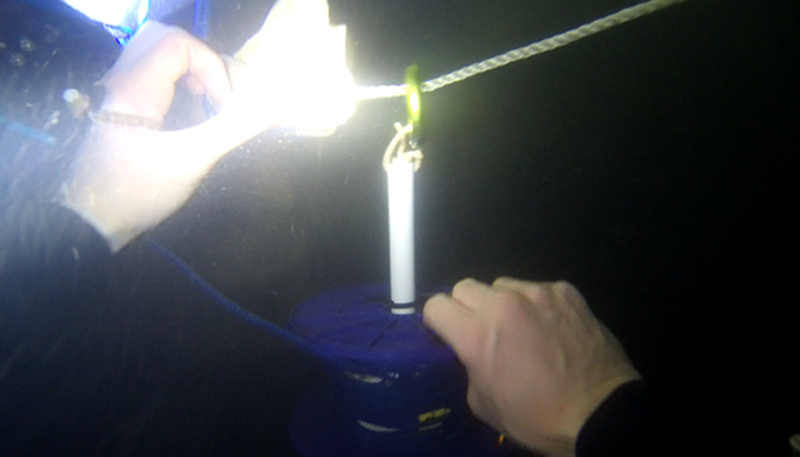 Howerver,the team found a new tunnel system at a depth of 60 meters below present sea level. 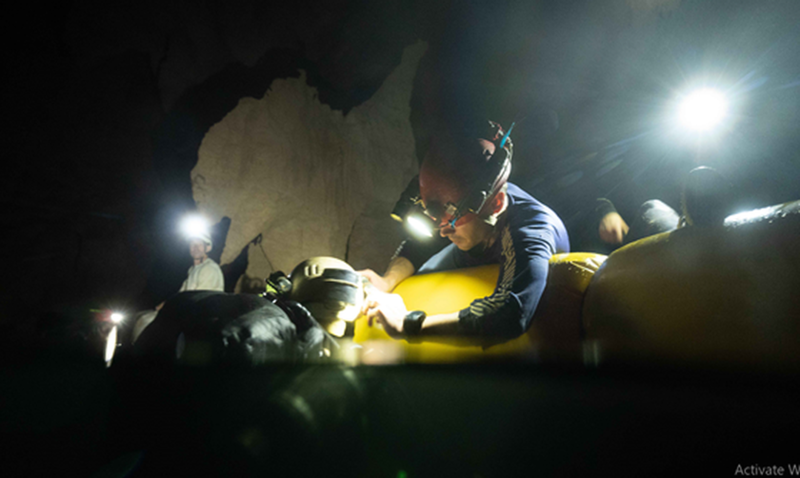 The exploration has clearly proved that Son Doong Cave is bigger than its current title of the world’s largest cave, making it more mysterious. 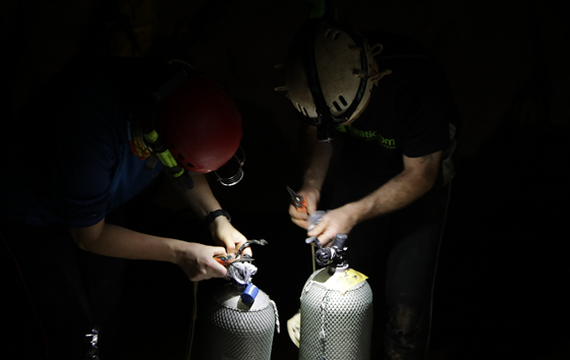 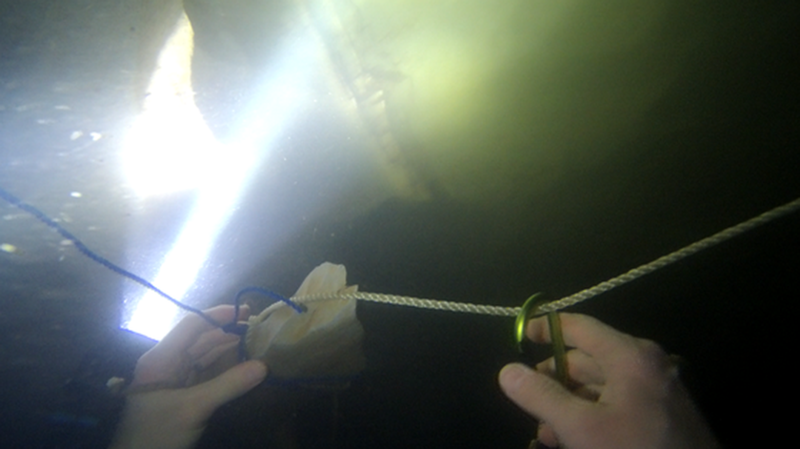 Divers measure the depth of the underground river section inside Son Doong Cave with ropes. 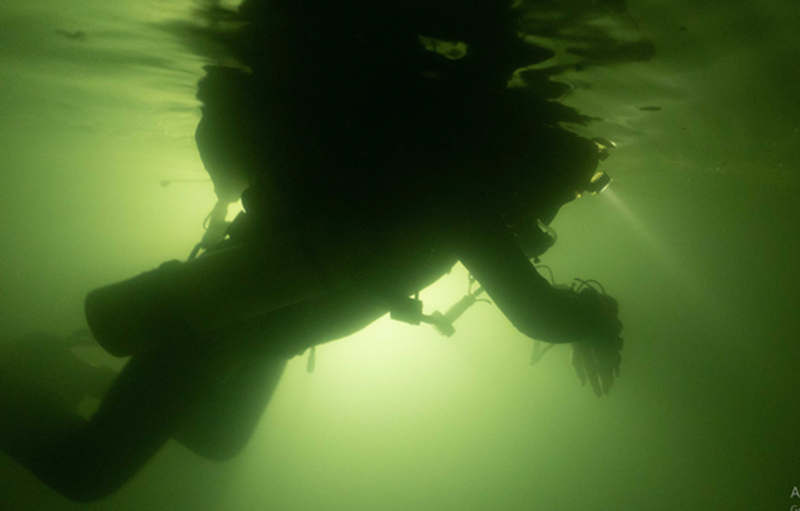 Cave is an especially dangerous for diving due to its narrow passages and instability. 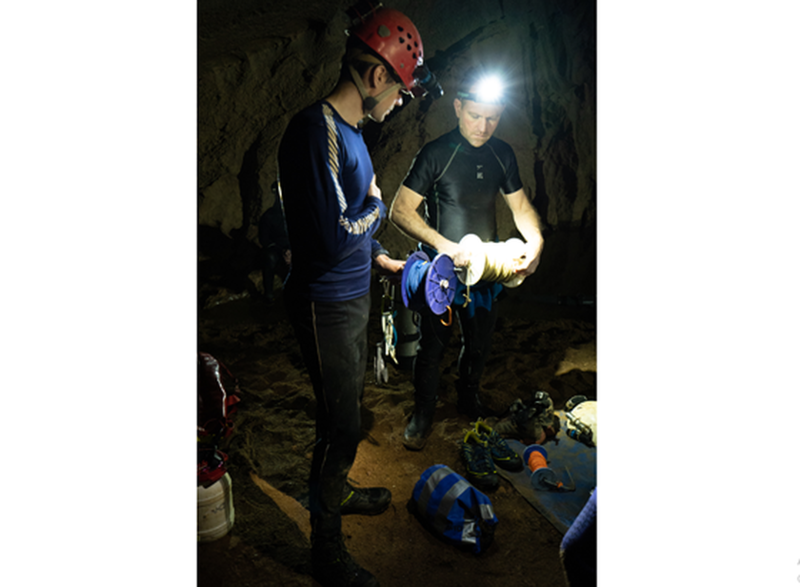 Ropes are used to measure the depth of the underground river section inside Son Doong Cave. 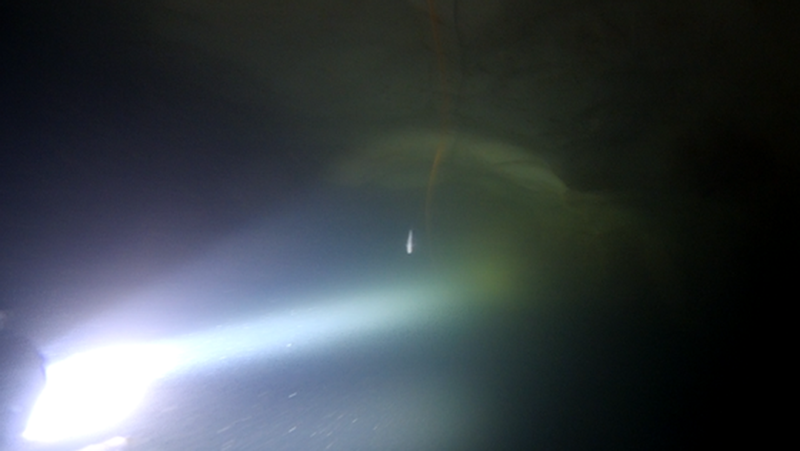 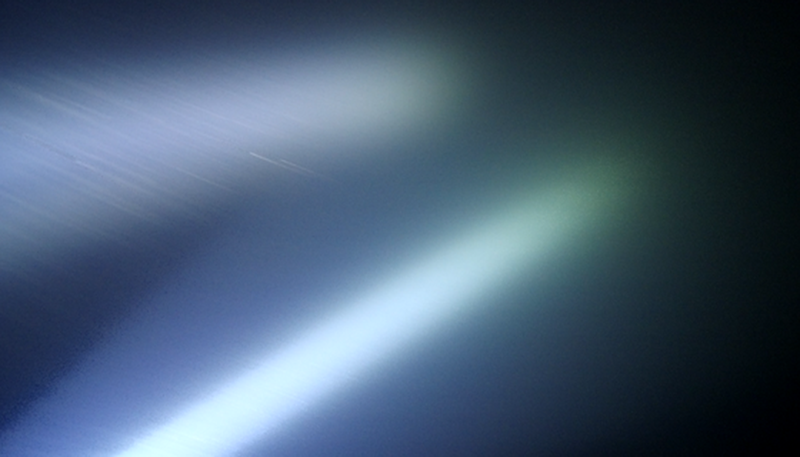 A white fish in the dark cave. 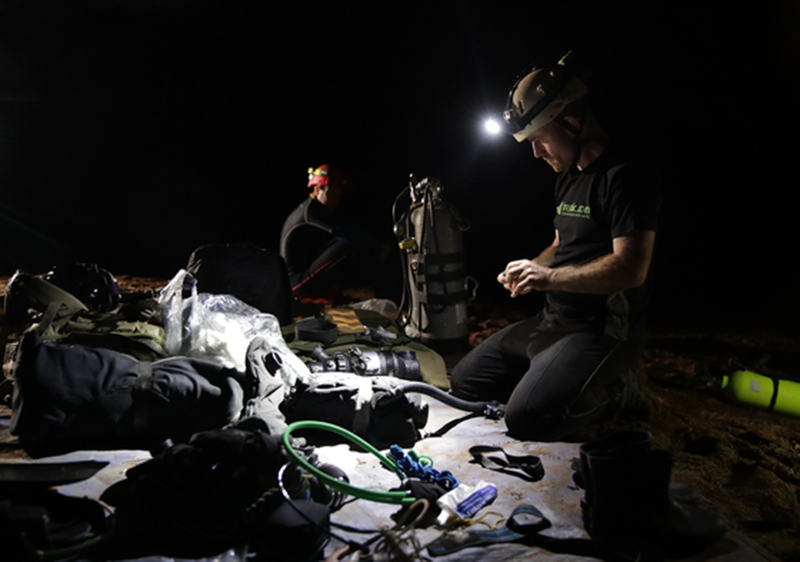 Diving experts went past a deep stop of 77 meters but they were unable to find the passage to Thung Cave and it went deeper underground. 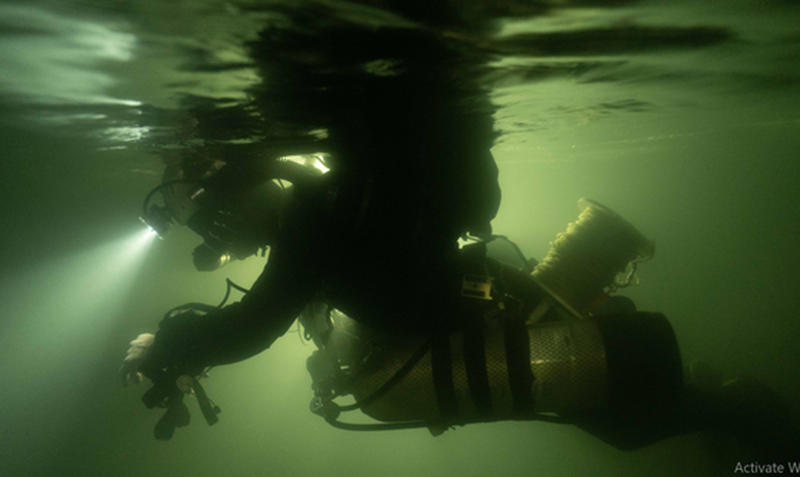 A diver rises to the surface. 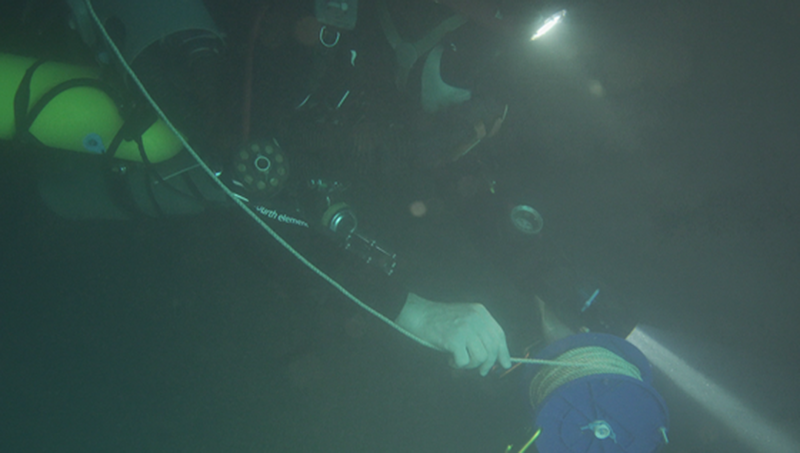 Members of the team on a boat are waiting for divers. 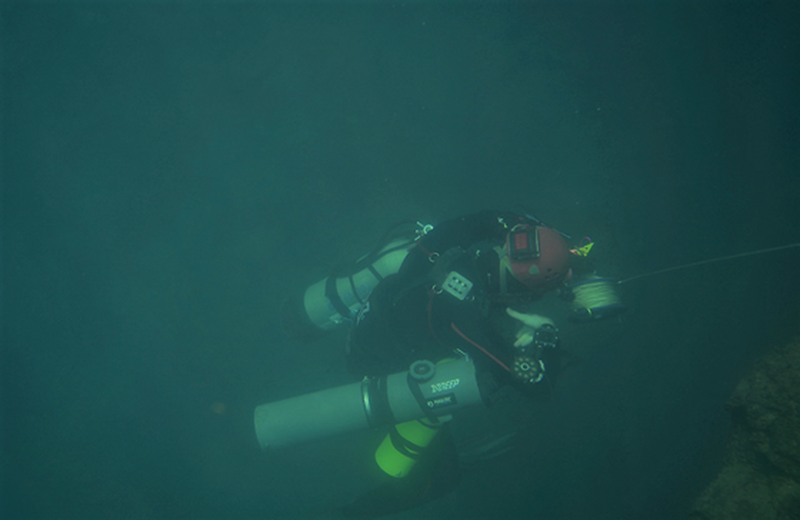 Divers come to the surface.